For those not familiar with the automotive world, tyre shopping can be a daunting task. Understanding how different tyres affect a car’s performance in various weather conditions is crucial. 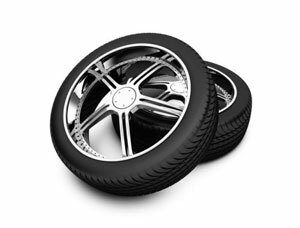 Additionally those looking for cheap wheels that are still reliable may want to mix and match tyres for the best price but don’t know how to go about doing so, or even what questions to ask the tyre salesman. Fortunately the tyre basics are quite simple. Sports cars and performance can complicate the decision process, as well as those looking for mag wheels as opposed to alloy. To help you understand what tyres will meet your needs and what to ask your salesman before purchasing a set, read the tyre shopping guide below. If you do not know what size tyres you need then there are several ways you can find out. First, you could consult your car manual which will have the tyre size listed in the specifications. Next, you could have the salesman look up the tyre size in their database. Lastly, you can take a more proactive approach and look on the tyres themselves. On your tyre there will be a marking similar to “205/65R15 94V” Now, the only number you need to pay attention to is the one directly after the first letter. In this case it would be 15 – this means that your tyre size is 15 inches. All season – these are the most common tyre types and the ones you should consider buying. They work for everyday road conditions and are great in both dry and wet while providing decent traction for snow should you encounter any. They also have a longer tread life. Snow – These have special treads that allow them superb traction in snow, ice, and even slush. Having these during winter conditions is greatly beneficial, but they are not meant for year round use. Summer – These are for higher performance vehicles and work exceptionally in dry and wet conditions during the summer. Not intended for cold temperatures or use during the winter as performance drastically decreases. All-Terrain – Off road tyres with advanced gripping features for mud and dirt. Can be used on road but don’t have the tread-life that all season tyres have. Replacing two instead of four tyres can be an affordable solution as well as ensure that your car doesn’t fishtail or skid as easily. Since most cars are front wheel drive, your front tyres will have a lower tread life which means you can rotate your rear tyres to the front, and place new rear tyres on instead of replacing all four. Are these tyres made by a decent and reputable manufacturer? Do you offer competitor price matching or offers? Is there any warranty for the tyres? Is it safe to rotate my tyres and just buy two new ones instead of four? Is the current style of tyre best suited for my vehicle or can I get better performance with another style?